Ouch! That'll teach me for not waiting for Jeff! Have broken my toe. That white piece across the base of the nail? You can't normally see that as it's under the skin of the nail bed and had to be pushed back under. And I have stitches all around to hold the whole nail in place as it's completely lose but the bed below needs protecting. And the numbing injection - OMG - I have had my fair share of injections, but I have never known such pain!! 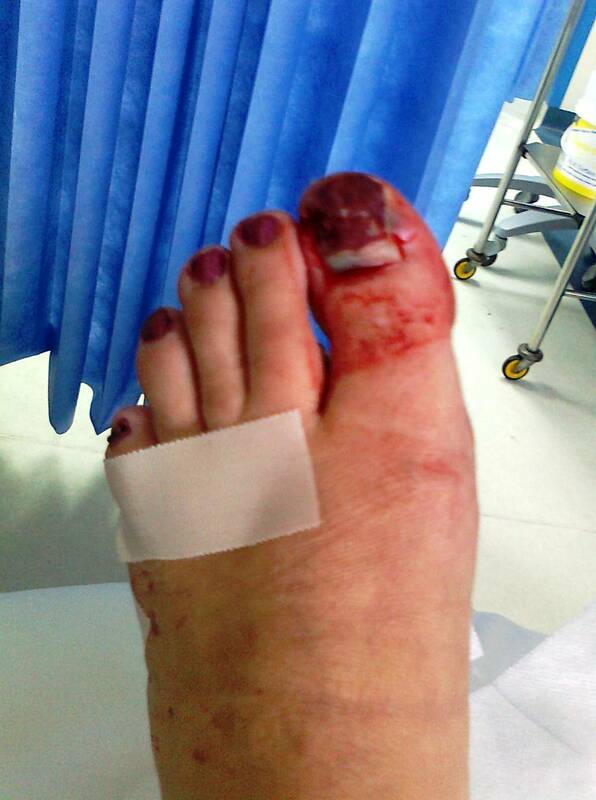 Flipping heck Suzanne- that's horrible- hope you are all bandaged up and dosed up with some pain killers?